The Barracuda is a ray-finned fish known for its large size and fearsome appearance. Its body is long, fairly compressed, and covered with small, smooth scales. Some individuals can reach up to 6 feet in length and 11.8 inches in width. They are elongated fish, pike-like in appearance, with prominent sharp-edged fang-like teeth, much like piranhas, that are all of different sizes set in sockets of their large jaws. They have large pointed heads with an underbite in many species. In most cases, they are dark green, dark blue, or gray on their upper body with silvery sides and a chalky-white belly. Barracuda fishing can be had all around the world at different times of the year. Barracuda fishing in the Florida Keys is hot almost year round. In the Pacific Ocean Barracuda can be had off of California, especially around Catalina Island, and also around Hawaii and down the coast of Mexico. In the Gulf of Mexico, there are hundreds if not thousands of Barracuda fishing locations popular with local and traveling anglers. Anglers around Asia and the Mediterranean Sea can also enjoy barracuda fishing success almost year round. Typically the lighter the line the more bites you will get from barracuda, but it will also result in less fish landed. Knowing the balance is key. The most commonly employed method for Barracuda fishing is the surgical tube lure. There is no question that the surgical tube lure is the bane of barracuda. Although it functions as an illusion in the water, it triggers a ‘Cuda to strike faster than anything else. The tubing imitates a needlefish and appears to be snaking its way through the water, though it is in fact spinning. Not everyone has the same view on how to work tube lures in the water, though. Rigging for barracuda fishing almost always involves a stainless steel leader as well since their teeth can easily cut through most regular forms of fishing line. Barracudas are popular both as food and game fish. They are most often eaten as fillets or steaks. 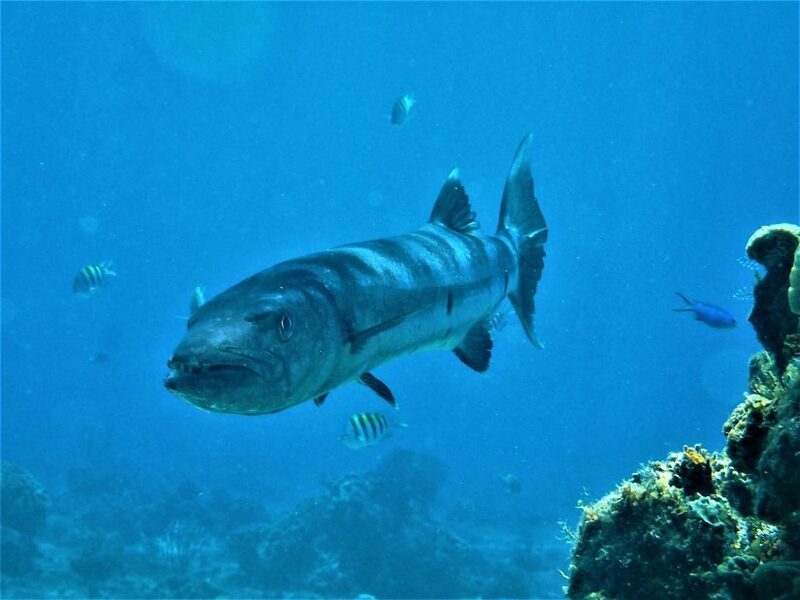 Larger species, like the Great Barracuda, have been implicated in cases of ciguatera food poisoning a form of toxin which comes from eating dead Coral. It is commonly accepted that smaller Barracuda (under 24 inches) are safe to eat. Southern Nigerians smoke them for use in soups. Smoking protects the soft flesh from disintegrating in the broth. In places such as the Caribbean, the locals test the meat by setting the fish on the dock, if it attracts flies within a short time period it is safe to eat; if the flies merely buzz around but never land it is contaminated and is then discarded. There is no sure fire way to tell if it is safe, Barracuda is an excellent fish to eat, however, you are eating it at your own risk of getting a pretty nasty food poisoning. Barracudas are bold, inquisitive, and fearsome fish that may be dangerous to humans. 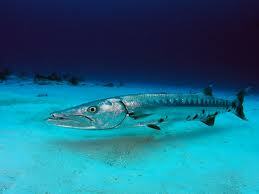 The great barracuda is known to have been involved in attacks on swimmers. In tropical waters, they have been known to inhabit open waters and bay areas in the shadows, under floating objects. To avoid them, don’t wear shiny objects. They are attracted to shiny, reflective things that look like dinner. They cause harm with their sharp jagged teeth and strong tearing jaws; slashing and creating jagged tears in your skin. Barracuda fishing can be an amazing experience for any angler but must be done with care. This entry was posted in Fish Species, Saltwater Fishing and tagged cooking barracuda on October 19, 2010 by Avid Angler.